eTakeoff is an electronic quantity takeoff software used for construction cost estimating. Its features include assembly capabilities, electronic plan takeoff, pattern search, estimating integrations, work breakdowns, project/drawing issue tracking, and more. In this article, we cover user reviews and pricing. Ready to try eTakeoff? Get a free trial. Users who gave eTakeoff a positive review said that it seamlessly integrates with Sage Estimating. Some of them also commended its pattern search feature which enables them to count similar looking materials and assemblies automatically. One user who gave eTakeoff a positive review on Capterra shared that it integrates well with Excel and Sage Estimating. He also mentioned that its Bridge product enables him to assign each takeoff to the corresponding line items in his estimates. Users who gave eTakeoff a negative review said that some of its tools for measuring areas and cutouts are inaccurate and they end up manually counting these by hand. Others reported that the software is not very intuitive. One user who gave eTakeoff a negative review on Capterra complained that the software is not user-friendly or intuitive. He said it requires some training and that some functions don’t always work as advertised. eTakeoff offers a free plan and two paid plans: Advanced ($950 + $190 annual support) and Premier ($1,895 + $380 annual support). The main difference between the plans is access to advanced features such as pattern search capabilities and the ability to create customized assembly-style takeoffs with user-defined formulas and variables. Ready to try eTakeoff? Get a free trial. 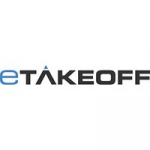 How does eTakeoff help users save time in doing quantity takeoffs? eTakeoff provides users with measurement tools and assembly capabilities to help them spend less time manually counting materials and more time refining their estimates. It also enables them to work on takeoffs directly from electronic drawings eliminating the need to print plans from PDF to paper. How does eTakeoff simplify the process of counting materials? eTakeoff offers a patented pattern search feature called auto count which does the counting of materials and assemblies for users. By simply selecting a symbol for an item, the software will search the plans and automatically generate a count. Not sure if eTakeoff is the right fit for you? 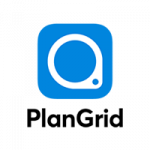 Read our reviews of all top construction management software or check out one of these three eTakeoff competitors. eTakeoff integrates to both Excel and Sage Estimating as well as Autodesk Navisworks and Assemble Systems. The integration is second to none as they dynamically link every takeoff object to line items in your estimate. Have yet to see anything that I would consider not done well in the area of takeoff and integration. They do not draw plans at all if you needed to do so out in the field. How long they have been developing a takeoff tool. I had no idea they had been doing this even longer than some of the older competitors. The number of installations shocked me, the best kept secret in the industry.